Buying a mattress without trying it first can be overwhelming and lead to anxiety and apprehension. But when you really think about it, going to a store and testing a few beds for 30 minutes or so really doesn’t give you a true idea of how you’ll like sleeping on it every night. As time goes by, you may realize you want something a little firmer or softer. Overall, if you’re not happy with a mattress purchase it ultimately comes down to the comfort, not the mattress itself. CozyPure mattresses have zippers so you can access the inner components and “tweak” to your liking, whether it’s 6 months or 6 years later. In addition to that feature, all mattresses have reverse-flip comfort so the bed is a little firmer on the other side, meaning right out of the box you have two firmness options. Need it softer? We have top-of-bed accessories such as toppers, or depending on the model you choose, you can also add softer latex layers inside the mattress itself… or both! 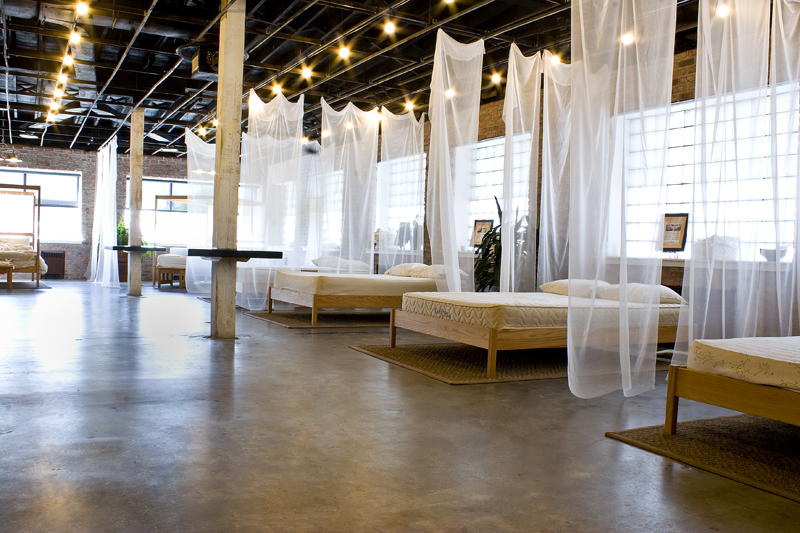 Our team is ready to help you if you should ever need to modify the comfort of your bed. 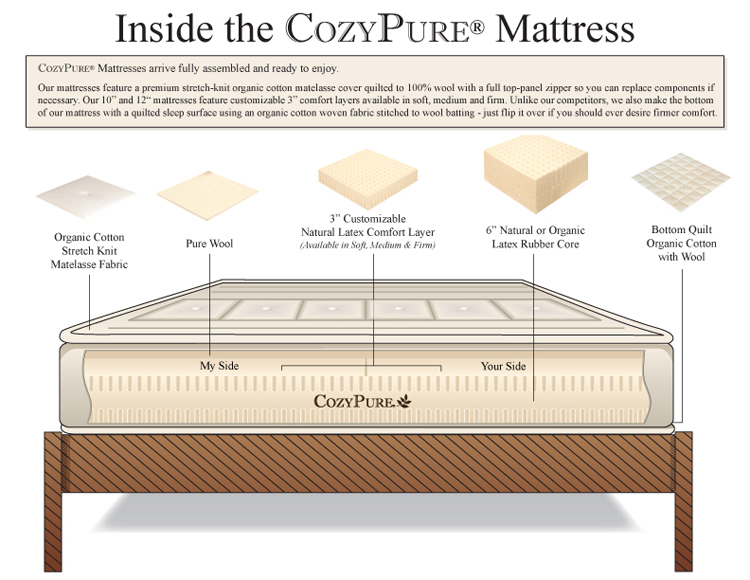 Because our mattresses are built with SOLID natural latex from top to bottom and edge to edge (no foams or coils to break down), a CozyPure mattress can last for decades with proper care. Over that time your comfort needs may change, so it’s great to have options to adjust and customize to your liking as you age. We designed our mattresses to help you feel more confident in purchasing a mattress without trying it first, because once you sleep on a CozyPure, we can work with you should you need to change anything at any time. Our most popular customizable mattress is the 10″ Natural Comfort Kiss, which features the most options.